"Things never happen the same way twice", C.S. Lewis. Welcome stranger, yeah... you, don't be scared. You entered the wardrobe and it's now your turn to save "Narnia" but no worry, follow me... I will be your guide during this fabulous journey. 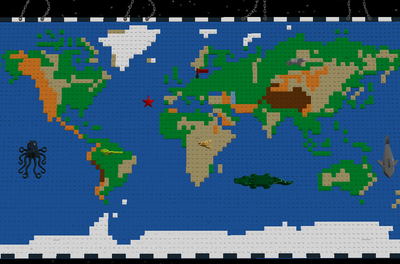 Take these shoes - the world is all made out of studs - be careful not to step on these bricks, that isn't cool at all. Believe in magic, and everything will be fine. 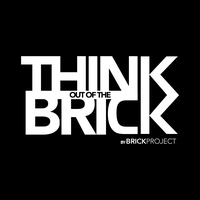 Fantasy is the keyword, everything else is pure fiction (Brickproject). This is my third version of the most iconic element from the "Chronicles Of Narnia" - the Wardrobe! This time I wanted to created something - exactly - like the real one. 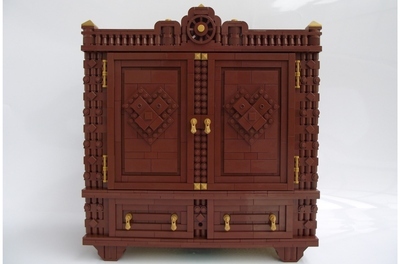 So I started a challenge on twitter (@project_brick) called "The Narnia Lego Challenge": the idea was to create the wardrobe in less than 3 days while trying to make the best - Narnia related - project as possible. I knew it would be something difficult to achieve but, here I am! I am pleased to introduce: Narnia V.3 - Imagine. The project contains exactly 932 pieces including three different removable worlds, summarizing some of the most iconic moments of the saga. 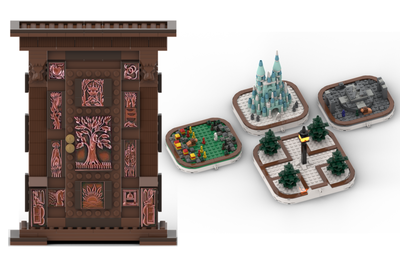 Thanks to a flipping back and functional doors, you will be able to replay the journey with lego bricks! Just remove the map and place another to transform completely the actual model. That's the power of this project, hope you like it. I also tried to redesign the engravings of the front of the wardrobe with adobe illustrator: think it would looks pretty cool if the plates are printed! Using real lego elements to reproduce the sculpture woud have been not enough "good-looking". Finally I redesigned the torsos of the main characters, namely Peter, Susan, Edmund and Lucy Pevensie. This took ages to finalize all the custom but I am pretty proud of the result. Additional elements and minifigs are comming! Check out the "update" section for news. Now it's up to you! 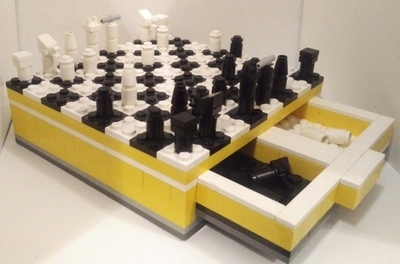 Do you think it might become an official lego set? If yes, don't hesitate to vote and click on the "support" button. Thank you stranger for completing the journey, I mean ... stranger... you are the KING of Narnia!